Monday through Friday 9:00 AM--5:00 PM. As an Independent Agency, our goal since the beginning has been to take a consultative approach with our clients’ insurance programs while shopping for the most competitive rates and coverage. As a result, we have grown to now serving the insurance needs of 3500 families and businesses in the Corning/Painted Post area. 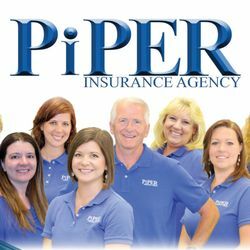 Five reasons to insure with Piper Insurance. We’ll help you choose the right coverage package. We'll help you uncover discounts. We’ll be with you through the entire claims process. And enjoy a relationship with a respected, established member of the community. Are we the right fit for you? A number of your friends, family, neighbors, and co-workers think so. There is no reason to wait. Give us a call and join thousands of our insureds who gave us the opportunity to “Make Their Insurance Easy.'' We’ll do the same for you. Thank you in advance from your friends at the Piper Agency. Learn What Your Neighbors Think of Piper Insurance! Save More With These 6 Strategies!